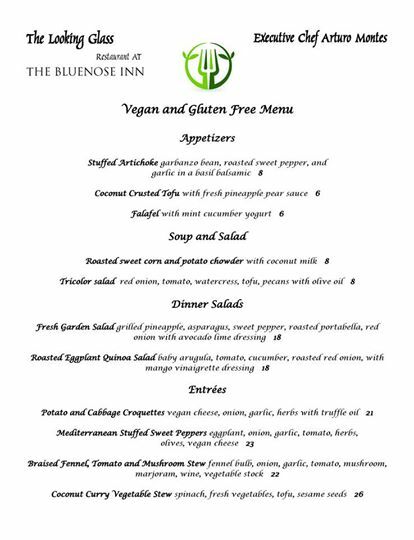 Chef Arturo Montes at The Looking Glass Restaurant has introduced a new vegan and gluten free menu that is offered to all guests in addition to the regular menu! The vegan dishes were introduced on Friday, June 6th and will run until the end of the season! Click below to view the new menu!